You listed your house with a realtor and they did there job. They held open houses, listed on the MLS and for the past few weeks you’ve kept your house spotless amid the endless amount of potential buyers wandering around your home. An offer arrived and you have a contract, your home is almost sold! The home buyers are having an inspector come and check on the condition of the property. Even though the house is a total mess now as you are packing up everything you own to move out and on to the next chapter in your life. So what do you do? Another stranger will be wandering around your home. How Do you know the inspector isn’t just a random guy/gal coming into your home? First things first, if they are hiring an internachi certified inspector who is state licensed, we all undergo background checks and internachi believes in our abilities that we are backed with a $10,000 honor guarantee. https://www.nachi.org/honor.htm. The inspector won’t be alone too as the selling realtor attends the inspection and most of the time so does the home buyer. All inspectors have pet peeves, but how clean your house is generally isn’t one of them. We do need access to sinks, tubs and showers so make sure all are empty. I’ll also say remove everything from the oven. Because we very often forget to check it prior to operation. I have reheated pots and pans more than once! My main concerns though is always accessibility, you can have your garage full of storage but leave a path around the sides, plenty of room in front of the water heater and electric panel. But most of all make sure attic access is available (if your garage has an attic pull down ladder, pull it down so you know it has clearance and the inspector can get attic access. Below is a link to a cheat sheet, as an inspector we go through many more items than what is on this list. However if you go through this list, you will make the inspectors job much easier and faster. 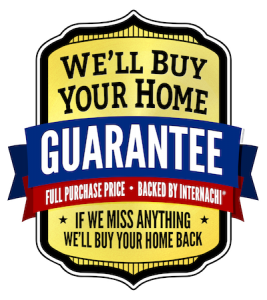 Book An Inspection for your new Home! Don’t forget, you’re moving out of your home. Your new home needs an inspection too! We inspect OKC metro and Surrounding Areas. If you need an Inspection in Shawnee, We’ll be there. 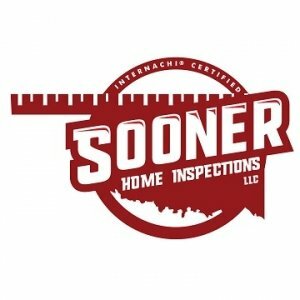 If you need a Home Inspection in Edmond, No problem. Moving to Norman and need your home inspected tomorrow? We’ll do whatever we can to have you as a client! You will now be in the booking software, first choose the type of inspection (Residential inspection) and you will be given several choices of extras, such as well and septic or multi HVAC. Enter the client information and Realtor information. Enter any other details you would like us to know and click submite. Once the booking is done we will confirm the time and date with you. Inspection agreements will be emailed to the client and need to be signed prior to the inspection. Payment options will also be sent to the client via email and payments can be made online on our secure server.